This past weekend our Front Range Friends were enticed to take part in a beautiful Lantern Festival in Dacono on Saturday and Sunday nights! Live music provided amazing aviance and serenity as the glowing lanterns floated weightlessly…into the night sky! 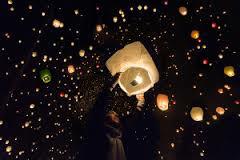 Lanterns are released for good fortune, hopes and dreams, but they can also provide a release of burdens, fear and regret. 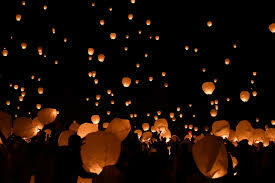 On May 20th, there will be two venues hosting Lanternfest in Colorado, one in Colorado Springs and the other in Pueblo. This should be a spectacular sight, stay tuned for more information! This entry was posted in Activities & Events, Adventures & Lifestyle, Front Range and tagged activities, summer destination, things to do on April 25, 2016 by gateway.